Based on the extreme volumes of data being generated, coupled with batch capture and after-the-fact analytics, Big Data solutions are struggling to keep up and drive clear value for enterprise companies. To solve this, organizations need to adopt a modern data architecture that enables real-time data integration for Big Data, allowing you to feed pre-processed streaming data into enterprise data lakes while getting the maximum value from your high-velocity, high-volume data. Organizations realize that modernization and adoption of new technologies are key to business success. Whether it is adopting hybrid cloud services for elastically scalable solutions, utilizing machine learning to optimize business operations, or leveraging fast analytics for instant insight, they all rely on one thing: data. Modernization requires moving away from batch-oriented architectures to streaming technologies, taking advantage of fast data, as well as integrating new and legacy resources. Join Steve to gain an in-depth understanding of streaming integration, some of the most popular data trends that enterprise companies are involved with (including hybrid cloud, fast analytics, and operationalizing machine learning) and discuss, through real-world use-cases, why streaming fast data is such a critical component in adopting these solutions. Machine learning has the potential to change the way many businesses operate by enabling real-time predictions and decisions based on deep historical knowledge. However, there is often an impedance mismatch between Data Scientists who generate accurate machine learning models, and IT or Operations departments that need to put these models into production. In this session, Steve will discuss how to harness fast data and stream processing to train, invoke, and potentially automate the retraining of machine learning models. He will walk through real-world, real-time use cases and explain how enabling Data Scientists to work with continuous real-time data can benefit your organization and eliminate any impedance mismatch that might hinder the operationalizing of machine learning. 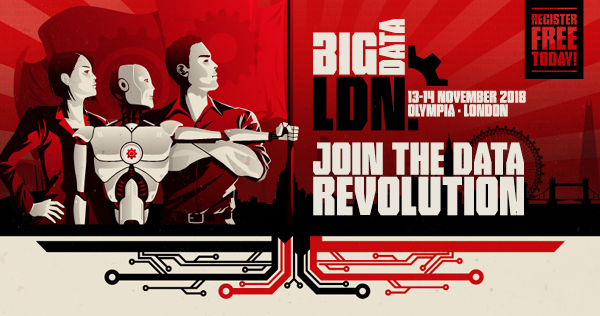 Stop by Striim booth #465 at Big Data LDN to learn more about how you can gain more value from your Big Data solutions by utilizing the Striim platform.